Every week on the Victoria Marie FB Group I host two challenges: a Wednesday Hump Day Challenge and a Weekend Fun Challenge. 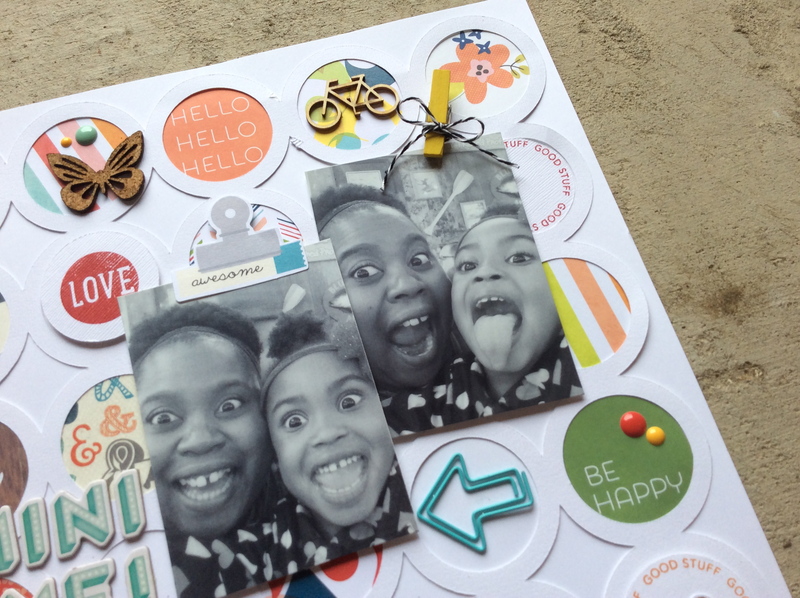 For the Weekend Fun Challenge, the group created layouts using circles as a focal point. I have such a hard time using shapes on my layouts. 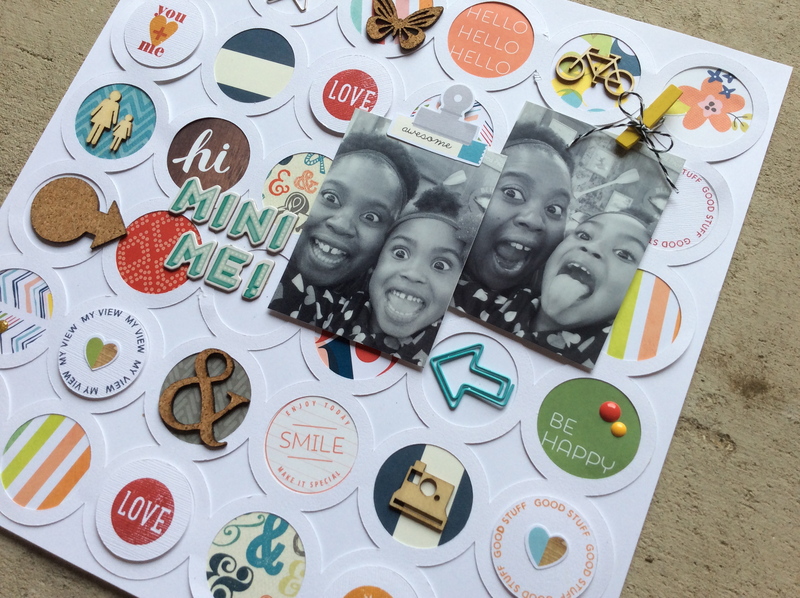 So I pulled out my Silhouette Cameo and found this circle die cut. 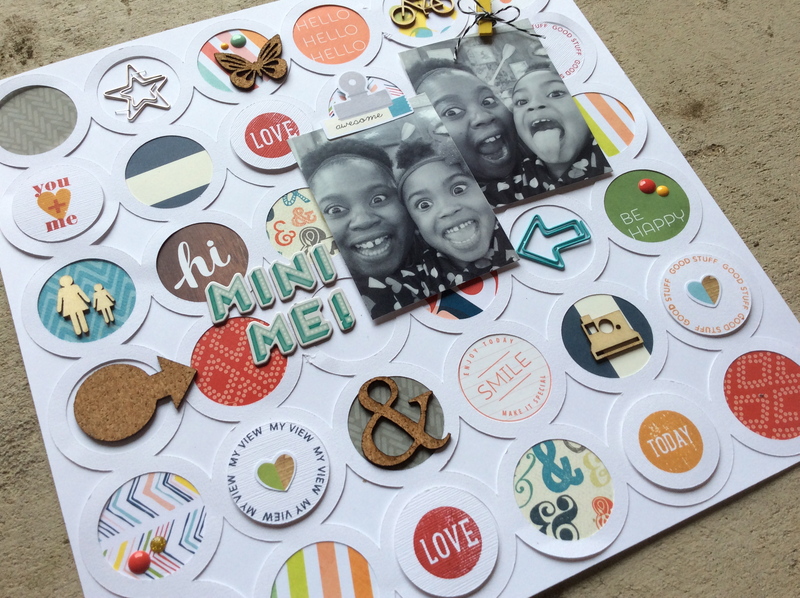 My thought was to back the die cut circles with various pattern papers then embellish with wood veneers, chip board, stamping, and enamel dots. The result? Amazing!!!! The photo I used is of me and my little Corinne. It is uncanny how much we look alike! Hence the title “Hi Mini Me”! I took this picture on Mother’s Day this year and really wanted to scrap it for our family album. I adore my little girl and I love to capture these fun little moments. She won’t be little for too long. I used the April I Lived Scraptastic Kit and exclusive stamps. This was probably one of the best layouts I made this weekend! Check out my process video on the Victoria Marie YouTube Channel! 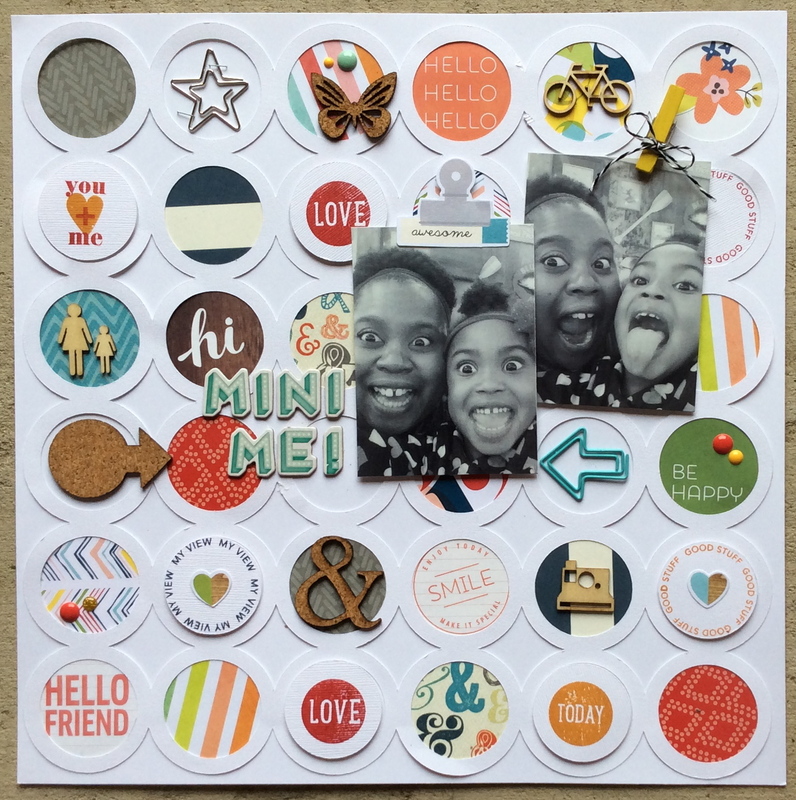 And don’t be afraid to use shapes on your next layout!!! Wednesday Hump Day Challenge – Let’s Get Sketchy!